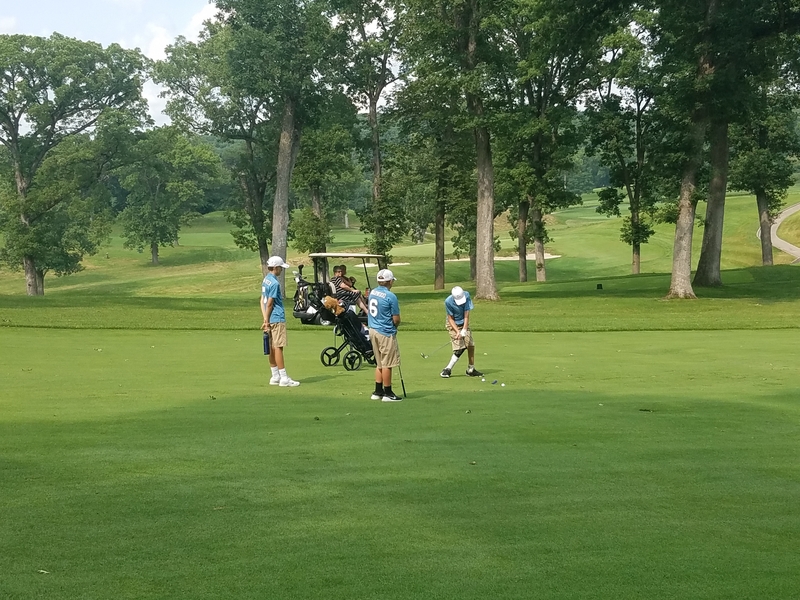 Cedar Rapids, Iowa -The Iowa PGA Junior League Section Championship was played at the Cedar Rapids Country Club on Saturday, August 18th. The competition was a match play format consisting of two rounds of matches. Two Semi-Final matches were played with the Dubuque League All-Stars defeating the Iowa City/Cedar Rapids All-Stars. In the other Semi-Final Match the Des Moines League All-Stars defeated the Ames/Marshalltown All-Stars. In the second round of matches players competed in a Championship and Consolation match. In the Consolation match, the Iowa City/Cedar Rapids All-Stars defeated the Ames/Marshalltown League All-Stars. In the Championship match the Dubuque League All-Stars defeated the Des Moines League All-Stars. The Dubuque League All-Stars will now represent the Iowa PGA Section in the Regional Competition being held at the Beloit Club in Beloit, Wisconsin on September 15th and 16th. The Dubuque League All-Stars will compete against the advancing All-Star Teams from Region 8. The Iowa PGA would like to thank the Cedar Rapids Country Club for their support in hosting the Iowa PGA Junior League Section Championship.